Today, Tomorrow, and Saturday you can watch movies outside at the corner of Norfolk & Auburn Avenues in downtown Bethesda. The movies are free and start at 9pm. You are free to bring your own lawn chairs. I noticed on Monday that they changed this traffic light at Arlington Road and Montgomery Lane by the library in Bethesda, MD. It used to be flashing red until the walk light came on, then it would go to solid red, now it is a standard traffic light with green/yellow/red. There are a few other odd elements to this picture (besides the jaywalking man). The "no turn on red" sign is most interesting. Before, it made sense, when the light was red, there were people crossing the street, when it was flashing red you had to look for traffic on Arlington Rd before turning. Now, when the light would have been flashing red it is solid red, so you can't turn, even though it is no more dangerous then a couple of weeks ago. You also get the green at the same time the walk sign comes on so you compete with the walkers, an activity that was not safe a couple of weeks ago. I checked and the walk signal only comes on if you press the walk button. Here's another odd thing, on the right is a yellow "No Outlet" sign. Google maps shows that the very end of Montgomery Ln near Woodmont Ave is one way, I also dug up a picture I took a while ago and I can see the corner of the "Do Not Enter" sign across from the apartment building at the end. I'd never noticed that before, but it is true. Update September 22: Good News! They took down the "No right turn on red" sign. 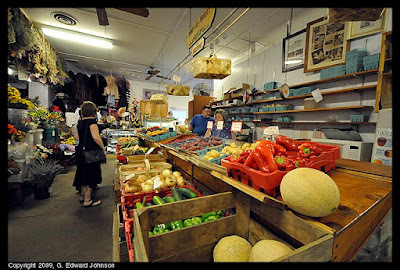 The plan is to increase the size of the store from 25,568 square feet to 43,097 square feet. 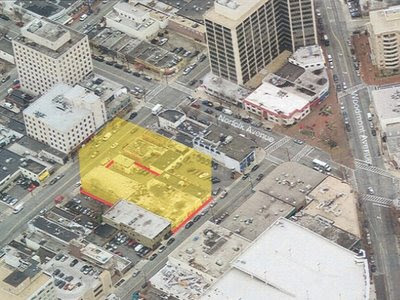 The one store store will become two stories with a parking structure on the ground floor and the actual store above it. Most of the existing parking lot will become part of the store. 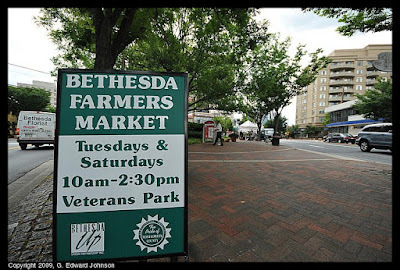 In keeping with the Bethesda Streetscape plan there will be public art, brick sidewalks, and a bike station with covered bike parking, a drinking fountain, and an air pump. 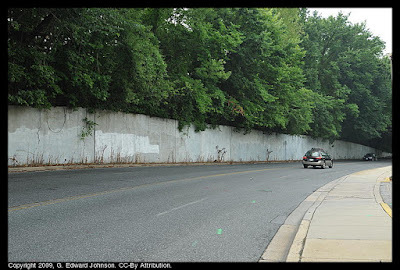 The developers will also provide a contribution to add art work to the concrete retaining wall across the street. You can see the site plan if you want more information. I realize this is on the other side of Bradley Blvd so really it is Chevy Chase, but I like to be inclusive now and then. Bradley Blvd at Arlington Road was closed in both directions while police investigate a car fire. 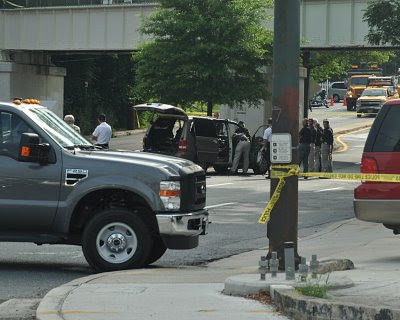 WTOP news reports that police found the minivan engulfed in flames after getting a report of a car fire, the driver was still inside the car, dead. Bradely Boulevard road is now open in both directions. 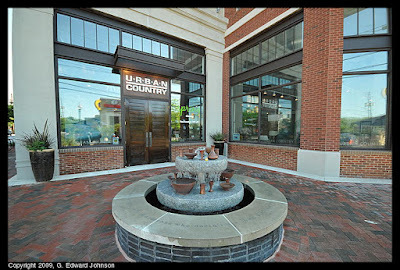 The second stop on our tour of fountains in Bethesda, MD is also on Bethesda Avenue, at the intersection with Arlington Road, right in front of the Urban Country store. 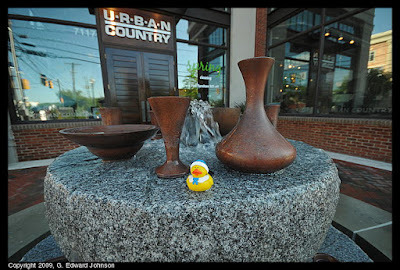 A smallish fountain with copper vases, pots, and other vessels and water cascading down two tiers. 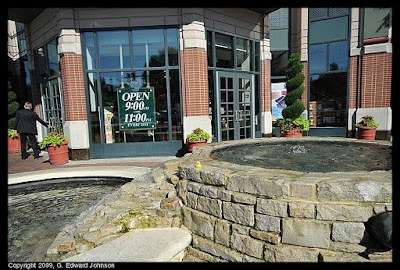 Bethesda, MD has a number of fountains and over the coming weeks I will post a series of pictures to show hopefully all of them. 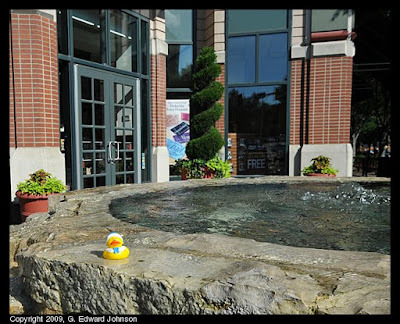 I'll start with what is probably the most well known of them, the one in front of the Borders books store on the corner of Woodmont Avenue and Bethesda Avenue, a popular weekend gathering spot and a great place to get shaved ice. 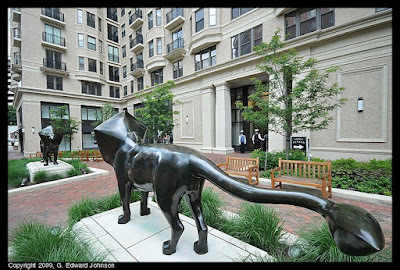 Out front of Lionsgate Condominiums on the corner of Woodmont Avenue and Old Georgetown Road in Bethesda, MD are two lion sculptures. Od manes, long tails and definitely male. For the second time there has been a gas leak at the new Hilton Garden Inn hotel under construction on Waverly St in Bethesda, MD. 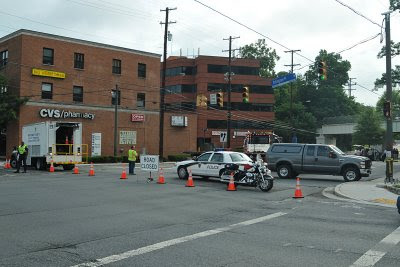 It shut down Montgomery Avenue which is MD-410 eastbound, a fairly major commuter route from Bethesda to Silver Spring. This is the first time I have ever seen a Washington Gas truck blow through a traffic light and make a high-speed (for a truck with a trailer) left turn. There was also a gas leak at this same location the morning of April 11th, 2008. This is also the construction project that was causing a blizzard of foam insulation to float around in May. 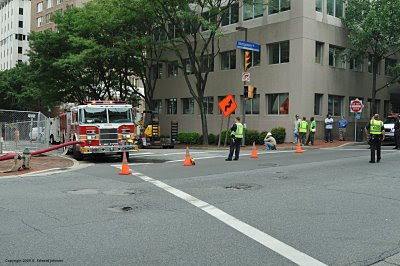 As of 3:15pm both Montgomery Ave and Waverly St are closed to traffic. At 3:25pm Montgomery Avenue had re-opened to traffic. 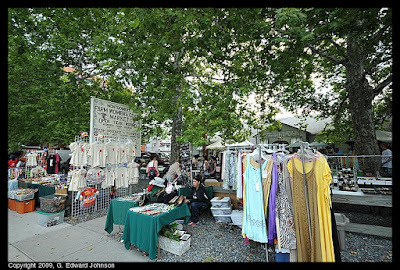 This Saturday (July 11) is the Bethesda Artist Market at Bethesda Place Plaza in Downtown Bethesda, MD. Jewelry, Photography, pottery and more from 25 local and regional artists. Bethesda Place Plaza is where the Original Pancake House is, it is bordered by Old Georgetown Road, Wisconsin Avenue, and Woodmont Avenue. Someone put together a map of all the current and planned speed cameras in Montgomery County, MD and Washington, DC. There a whole lot more of them than I thought, including a number in the greater Bethesda area. 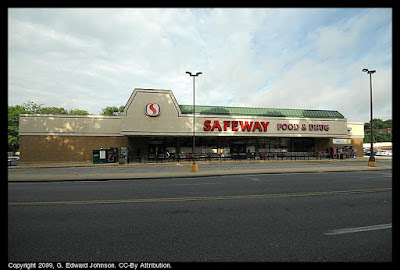 The Montgomery County planning board met on July 2nd and approved with conditions a new mixed use 17 story apartment building with up to 200 units and 7,700 square feet of ground-floor retail south of Woodmont Avenue facing both Fairmont Ave and St. Elmo Ave. The main entrance will be on Fairmont Avenue and there will be a pedestrian passage between this building and the one to the south of it. At least one of the retail spaces will open on this passage. Plans call for a total of 3 retail spaces. The project is called the "Monty" and is being developed using "Density Transfer" where they put a bigger building here, in exchange for reducing the maximum height of other lots nearby. I'm guessing this is like buying the air-rights of nearby properties. 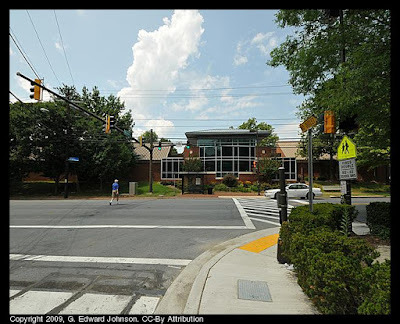 The developer will also install the standard Bethesda streetscape of brick pavers, street trees, lighting, and undergrounding the utility lines on both Fairmont Ave and St. Elmo Ave (a minimum of 10,480 square feet). There were a long list of minor conditions attached to the approval. 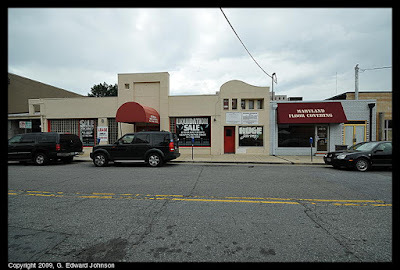 Currently on Fairmont Ave there are two empty buildings, one that used to house "Bethesda Home Furnishings" and one that had "Maryland Floor Covering". 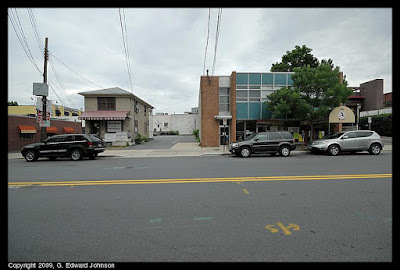 It also covers a couple of buildings on St. Elmo Avenue, the former Bethesda Tobacco and a two-story building with blue tiles on the front that currently houses Dansez Dansez. More info at the planning board. 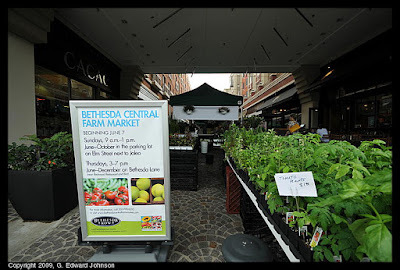 Starting today, July 1st, the new parking rates are in effect for downtown Bethesda, MD. Short-term parking (3 hours or less) $1.00 per hour. 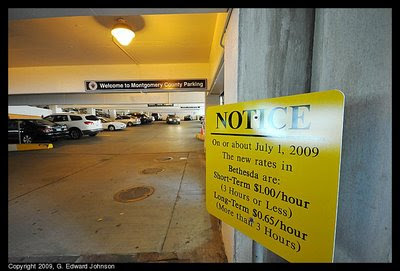 Long-term parking (over 3 hours) $0.65 per hour. Monthly parking sticker $120.00. I believe this rate is for all county operated garages and meters. The ill-defined North Bethesda, MD parking rates are also increased. Short-term parking (3 hours or less) $0.75 per hour. Long-term parking (over 3 hours) $0.50 per hour. Monthly parking sticker $95.00. On the subject of parking, it is illegal to park longer than the hours stated on the parking meter and, inserting additional coins after the time has elasped does not extend the allowable time a vehicle may remain parked in the same space. One of my co-workers found out the hard way that you also can't exit a parking garage then come back in and park in a different space and restart the short-term parking clock. More information available from the county (actually, exactly the same information). Update July 14th: Just ran across this DPWT news release about feeding meters.